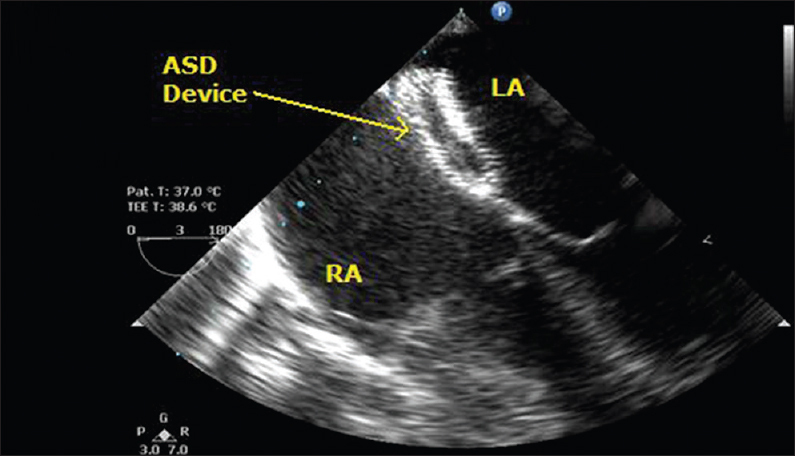 A 40-year-old male patient with symptoms of shortness of breath was diagnosed as ostium secundum atrial septal defect (ASD). 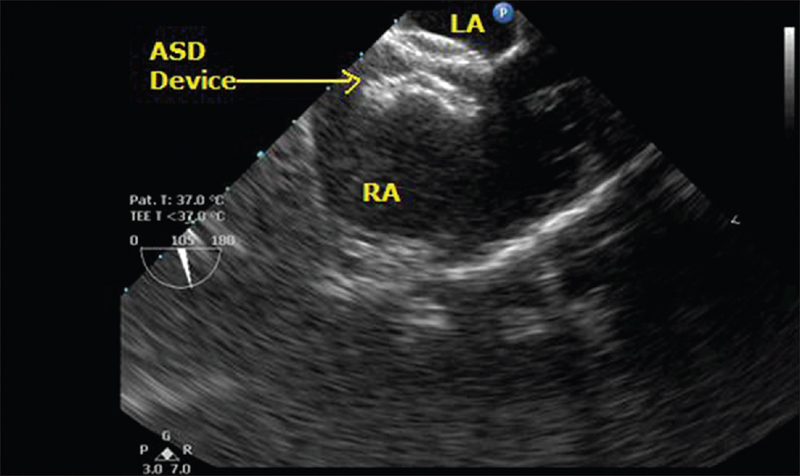 Patient was posted for ASD device closure in cardiac cath lab. 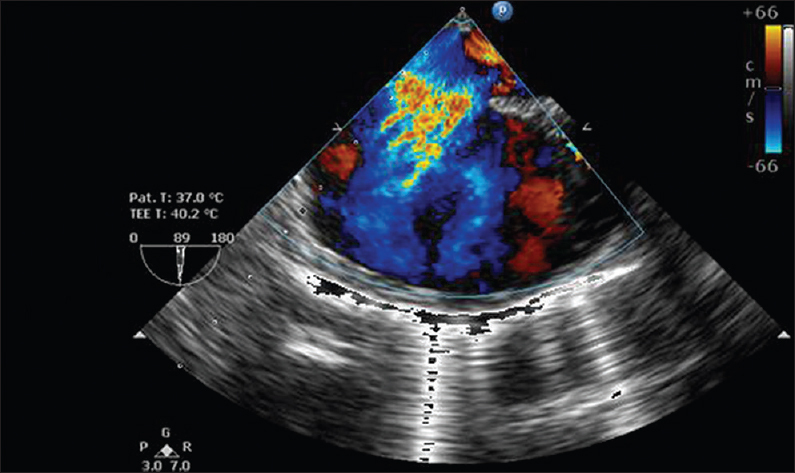 Transesophageal echocardiographic examination (TEE) was performed, which showed ostium secundum ASD of 24 mm size with left to right shunt and good rim size of interatrial septum [Figure 1] and [Figure 2]. 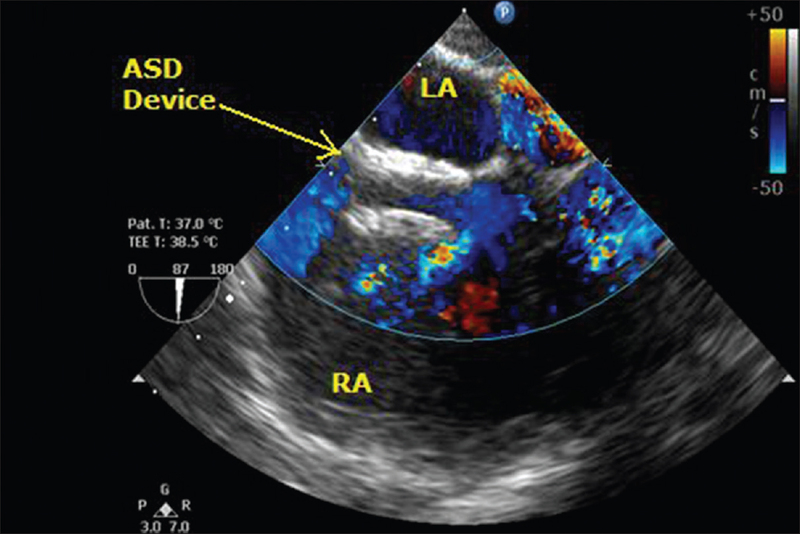 ASD device closure was done through right femoral approach. After the procedure device closing, the defect could be seen with no shunting of blood [Figure 3], [Figure 4], [Figure 5]. TEE, in cardiac cath lab, has the added advantage of assessing ASD size and magnitude of shunt. With the help of TEE, superior and inferior rim of ASD can be accurately measured. Proper deployment of device discs can be verified by TEE. 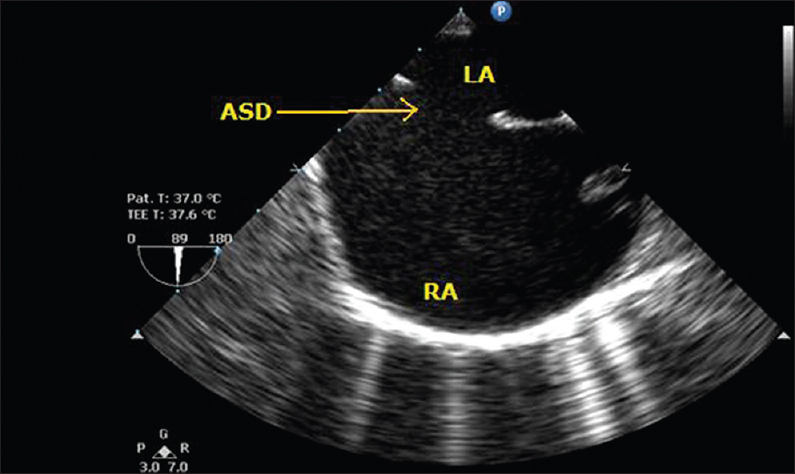 TEE can act as adjuvant to fluoroscopy in ASD device closure procedure in cath lab.